A black and white rose table number holder. 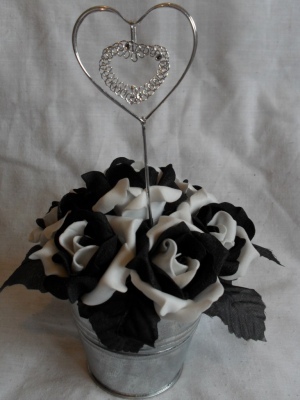 Black and white roses placed into a zinc vase with a silver coloured heart holder. Measures approx 21cm height. A perfect way to display your table numbers or names.